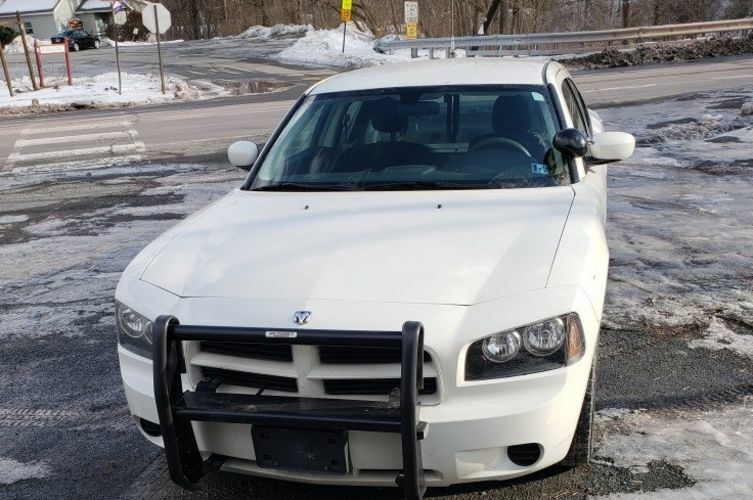 2009 Dodge Charger sedan 5.7 liter with 72,960 miles , runs, drives and inspected till 3/19. Radio, decals and light bar removed with tape on roof from power cable. Whelen siren, cage, spotlight, gun lock and push bar will remain if sold to another police agency or otherwise will be removed. Driver side fender well area shows light rust ( See Pictures) Being sold AS IS and bidders are urged to inspect for themseleves. Winning bidder must make payment arragements within 48 hours of winning bid, also must provide own insurance and registration if vehicle is to be driven off property or otherwise it must be towed. "Is the original rear seat available for the car? Thank you."